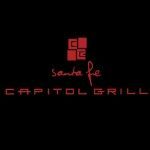 Come and Enjoy our New American Cuisine at Santa Fe Capitol Grill. We invite you to experience our dishes prepared from scratch daily and with the highest standard of produce, meat, fish and chicken. Celebrating the foods of America with the freshest seasonal and local ingredients, each dish is created with the greatest care and at affordable prices to ensure an enchanted experience.